When it comes to protecting your business as an architect, our experience as an architect insurance broker makes all the difference. Fenner & Esler has been providing specialized expertise in architects professional liability insurance for more than 30 years. Whether your company is a major design firm or just starting out, F&E’s track record proves our dedication to being the best professional liability provider of architects insurance nationwide. No matter what the challenge, Fenner & Esler offers architects’ liability insurance programs suited to your needs. Let our extensive experience and resources help you to secure the future of your business and ensure that you will continue to grow. At F&E, we’re not just brokers- we are architect insurance specialists dedicated to keeping up with every minute detail within the built environment. Let us become your partners in risk management- we will keep you up to date with industry standards, and most importantly insure your peace of mind. F&E is an independent insurance agency representing numerous “A” rated carriers that can provide customized, competitive, and flexible coverage. Tired of receiving last minute “take it or leave it” renewal proposals? Now there’s another option. Simply contact us and find out more about our revolutionary concept in Professional Liability Architects and Engineers insurance: A Choice! Before Fenner & Esler Insurance, just about the only approach given by architects insurance companies has been “take it or leave it.” It’s no wonder with such limited options available that so many architects and architecture firms overpay for their Errors & Omissions insurance coverage. Worse yet, many let themselves “go bare” simply because adequate insurance coverage is unaffordable. F&E brings an alternative to the table: Blue-chip professional liability insurance coverage from a company that knows architects and the built environment. Since 1923, Fenner & Esler Insurance has been delivering the right amount of coverage and value to professionals and firms of all sizes. We are industry leaders in when it comes to customized insurance coverage plans for architects and architecture firms. F&E represents a plethora of “A” rated carriers and can provide professional liability architects insurance that is customized, competitive and flexible. As a comprehensive risk management partner, our goal is to assist you in all of your insurance needs and to help you manage and plan for all potential risks. We will have our specialists assess your business and offer you a variety of hand-picked insurance products to choose from. At F&E, we have developed a culture and attitude that involves an absolute commitment to the role we play in our clients’ business success. Even if you are mid-policy, we would be happy to provide a competitive quote for the exact coverage you need. VIP Versatile – Providing customized professional liability insurance coverage for architects and architecture firms ranging in size from small start-ups to large professional corporations. In addition to providing standard professional liability insurance coverage, Fenner & Esler has the unique capability to place insurance for difficult professional classes. Independent – F&E is an independent insurance agent. Architects and architecture firms deal directly with principal owners who provide an objective point of view, and will tailor the coverage terms and conditions to best meet the client’s needs. F&E has access to over a dozen highly rated architects insurance companies who have an appetite for the risks associated with architects’ services. Proven –F&E is a boutique insurance brokerage that has been specializing in Professional Liability Insurance for Architects (Errors & Omissions) for more than 40 years. We not only negotiate extremely competitive pricing, but we also handle non-standard contract reviews, in-house risk management seminars, pre and post claims assistance, attorney selection, incident reporting, pre-acquisition due diligence, and more. Why do I need Architects Insurance? Professional Liability Architects Insurance protects Architects or Architectural firms from financial damages arising out of lawsuits resulting from negligence and mistakes related to the completion of professional duties. Architects Insurance should provide coverage (up to the dollar limit specified by your policy) for claims including legal defense costs as well as financial damages related to the case that affect the Architect or Architectural firm. Without E&O insurance, you can expect to pay for these costs on your own, and these damages are often far more than most professionals can afford. Many clients actually require that the Architects or Architectural firms that they work with obtain Professional Liability Insurance coverage in their contracts because they want to make sure that all risks for errors are covered. Simply put: these clients want to know that they can rely on you to do the best job you can and protect all interests in the case of a mistake. It is also common for these contracts to require that the Professional Liability Insurance coverage extends for years after the work is completed since it is likely that any problems may arise long after the job is done. Maintaining the proper Architect Insurance policy is probably one of the most important decisions of your career. With decades in the architect business, Fenner & Esler represents numerous blue-chip carriers. Plus, we’re committed to our relationships with our clients: we continually monitor the industry for new requirements and standards in the architectural business. So we can advise you when your architect insurance coverage needs adjusting – up or down – to keep you competitive. Our relationship with your business continues long after the initial consult. No matter how careful, organized or thorough you are, your business always involves risk. Other agencies may offer a ‘take it or leave it” approach to Architects Insurance coverage, and for that reason, it may be tempting to risk going without professional liability insurance. But that risk can have exponential consequences: if your project is found guilty of “errors and omissions,” you could find your firm, or yourself, on the hook for massive damages. Why put yourself in that position? F&E is an architect insurance company can tailor a policy that both covers you, and stays within budget. There’s no reason to leave yourself open to exposure. Even if you’re in the midst of a multi-year policy, we’re happy to review it (at no cost to you) to see if you’re getting the most for your money. F&E has been in the business of protecting architects for decades. We know what you need in your architects insurance coverage – and what you don’t. GET IN TOUCH HERE. 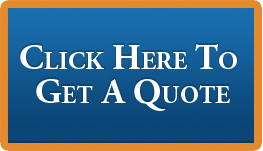 Looking to get a quote? You’ve come to the right place. Click right here to download our Quote Questionnaire (PDF) or just click on the Quote button! Already have coverage? No problem. Just send us your current Professional Liability renewal application or Certificate of Insurance and we’ll do the rest.